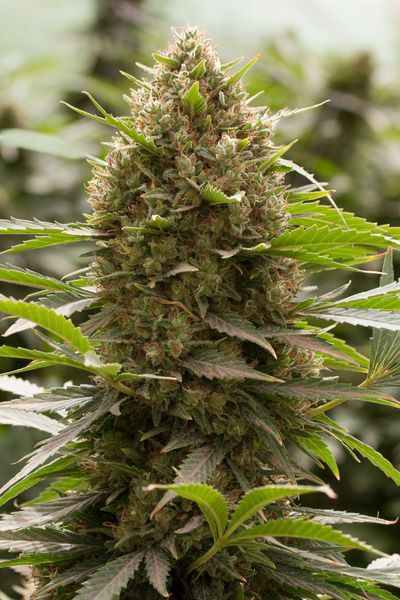 Amnesia Kush cannabis seeds by Dinafem Seeds belong to a Sativa-dominant feminized cannabis strain that originates from the cross of an Amnesia Haze and an OG Kush. We have squeezed the juice out of two highly-regarded cannabis icons, a widely loved strain in Dutch coffee shops and one of the most coveted strains in the USA, and created a cannabis cocktail that represents a dream come true. 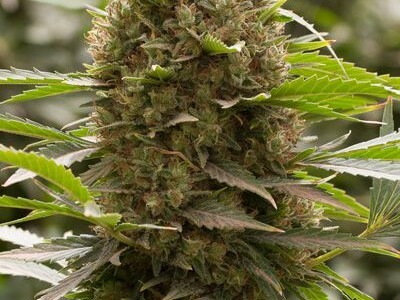 Amnesia Kush cannabis seeds respond remarkably well when being provided with plenty of light and a nutrient-rich diet. If placed in a dry temperate environment during the growing and flowering phases, it is sure to thrive. It owes its pleasant aroma to its high content of limonene terpene. Great results are obtained outdoors, particularly in temperate, continental, Mediterranean climates or in the pleasant atmosphere of the greenhouse. Apart from meeting their minimum care requirements, it is advisable to leave enough space between the plants so that they can grow comfortably. Amnesia Kush has a really intense flavour and aroma, with strong and fresh notes of citrus. The effect is powerful, cerebral and long lasting. Ideal to break away from daily routine and to make the most of your free time. 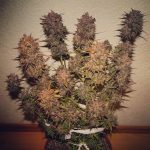 This entry was posted in Strain review and tagged Amnesia Kush, dinafem, feminized, seeds. Bookmark the permalink.